Assistive technology “MacGyver” Therese Willkomm, Ph.D., returns with her second book of five-minute, low-cost approaches for taking ordinary items and turning them into extraordinary solutions for individuals with disabilities. 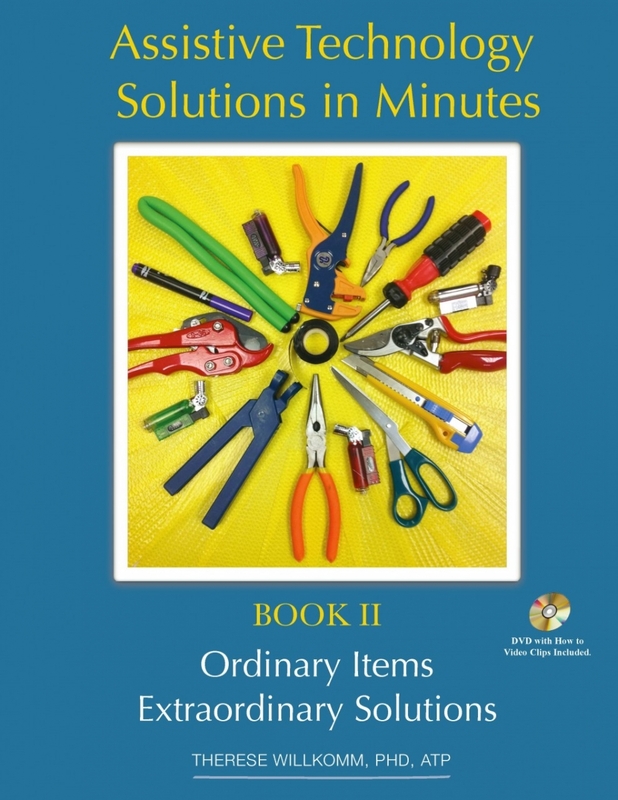 Picking up where the first book left off, AT Solutions in Minutes II demonstrates creative DIY problem solving without the need for power tools or electricity, empowering everyone to be spontaneous and create solutions to everyday challenges using everyday materials. Thanks to a grant from the Gibney Foundation, one hundred percent of the proceeds from this book will fund assistive technology devices for New Hampshire's device loan and demonstrations provided through ATinNH. Please visit the Institute on Disability's Assistive Technology Online Resource selection. Here, you will find state, general, employment, and inclusive education resources as it relates to assistive technology. Additionally, you may see other resources for free and for sale, at the IOD Bookstore (opens new window).